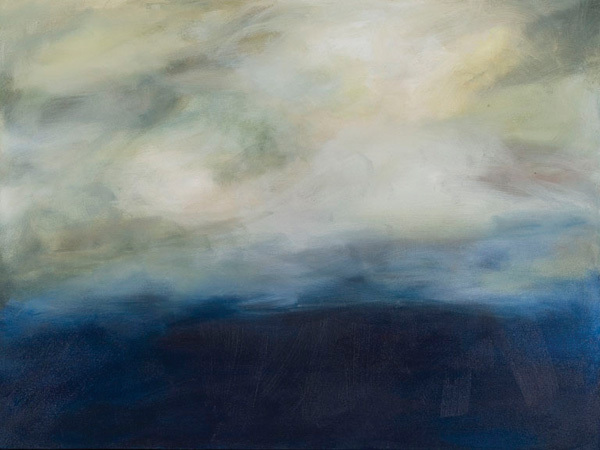 When Katie Todd moved into a new house and needed something for the walls, she began painting abstract landscapes. “I like to think of them as splashes of color that give you something interesting to look at on your walls,” she says. Sea Air (above), painted with acrylics, is a part of a series that highlights Todd’s interest in painting horizons. “I find horizons to be calming,” she says. “I like the feeling of space, the way that a horizon is flat and open, and the feeling you have when you look into the horizon.” The 30-inch by 40-inch painting costs $395 and, like the rest of the paintings in the series, is framed in reclaimed wood.